Heyy. I've updated the banner. I know nothing about dimensions and sizes, so I ended up taking a lot of time guessing the measurements. Hihi. Updating the banner means i'm going to update my old blog, Gotta Knock A Little Harder , an end post soon. Small confession: this new blog, still a stutterer, probably went through hundreds of revisions by now. I had a bit of trouble choosing the URL. Initially, it was Awanggan, the Filipino equivalent of "infinity". 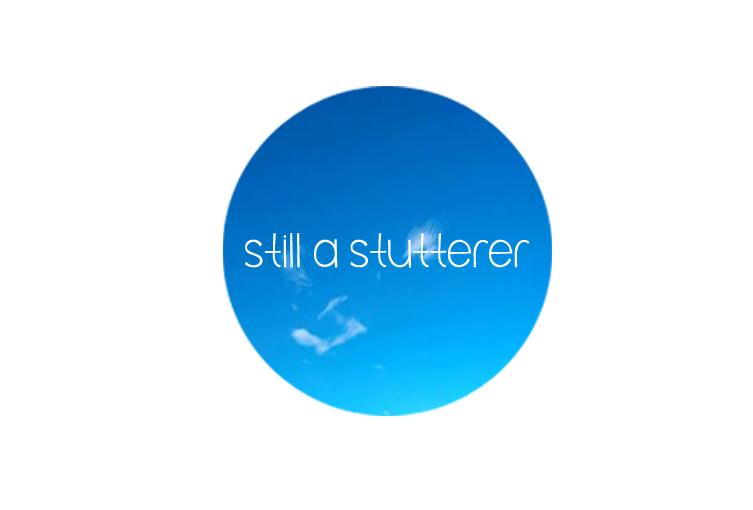 Then it became stillastutterer - a term loosely borrowed from an account name I saw at SoulPancake. Today though, right after I made that blue dot of a banner, i'm changing it again, this time to my name without the vowels.